SAN FRANCISCO (KGO) -- The City of San Francisco is trying a new tactic to cut down on one of its biggest problems: car break-ins. 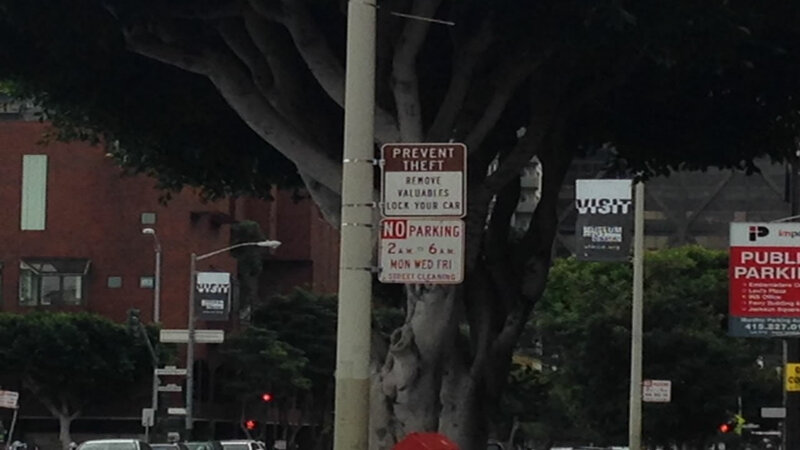 Several signs went in last week near the Embarcadero, including the one here on Front near Vallejo Street. It reads: "Prevent Theft. Remove valuables. Lock your car." There are 30 signs just like it around the city. Jess Montejano with Supervisor Mark Farrell's office says it costs about $300 per sign to install. That's a total of $9,000 spent to tell people to lock their cars. It may seem like common sense and not necessary to those who live in the city. Tourists may not be as savvy. Montejano says there was no specific reason, complaint or request that led to the signs, but Supervisor Farrell hopes it will act as a preventative measure.